Hello March! And more importantly welcome Autumn! Autumn is my favorite season. With it comes relief from the Summer heat - although we are still waiting - cooler evenings, softer light, and changing colors. I have chosen my Sunday Stash bundle this week to welcome this new season. 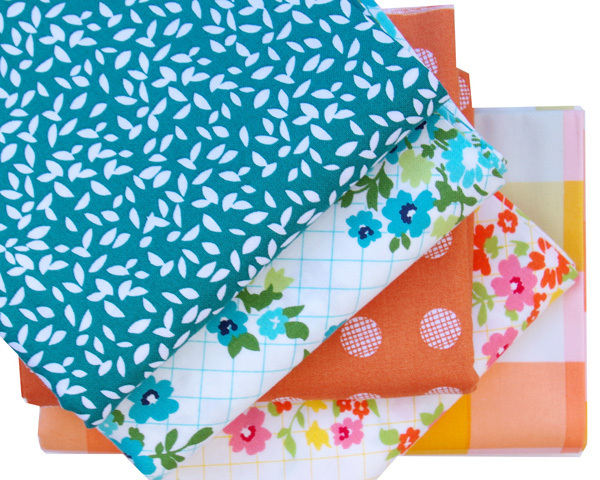 The fabrics are relatively new to my stash and snippets of several of these fabrics have already made an appearance in my recent quilts. 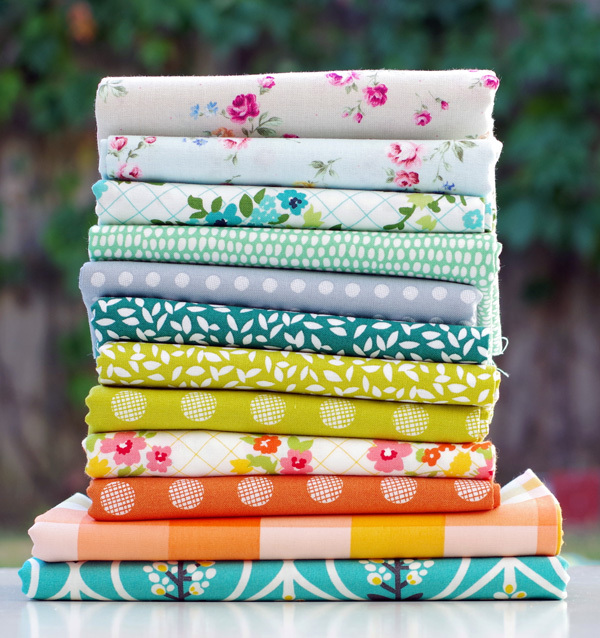 Lemmikki is Lotta Jansdotter's most recent collection for Windham Fabrics, and pictured above are several of the prints I have selected for their vibrant color and simplicity of design. 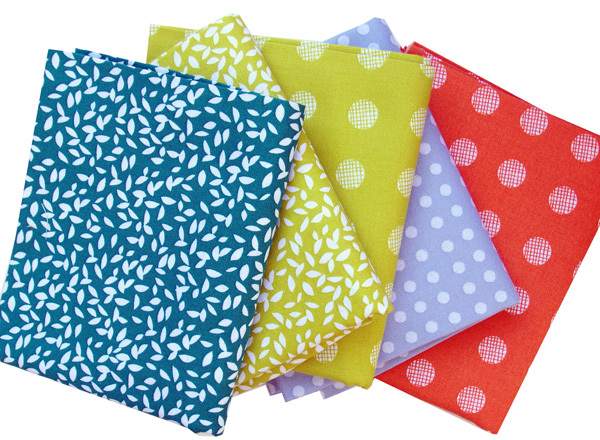 They are great stash basics and mix and match well with other fabric collections. 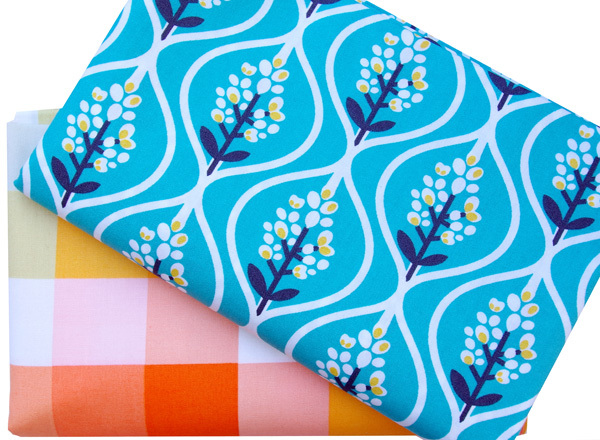 The next two prints are from the Day Trip collection by Dana Willard for Art Gallery Fabrics. 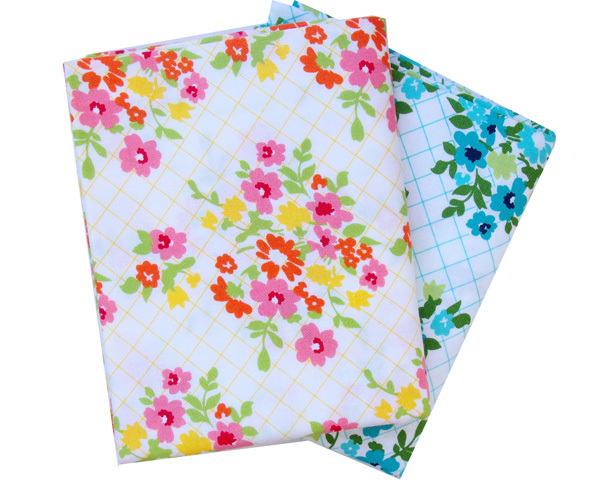 My love for gingham/plaid fabric has not waned (especially if it includes both pink and orange in the color palette), and I think the larger scale squares (1.25") will work well as a feature fabric. 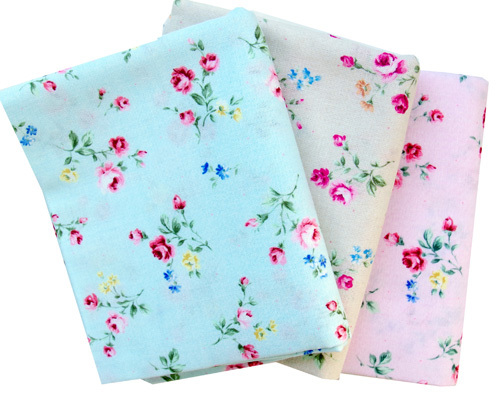 Rose Toss - Flower Fields for Lecien Fabrics. And last, a range of text fabrics (not pictured in the above bundle) from the Moji Palette collection also for Lecien Fabrics. You know how I feel about text fabric ... in every color. 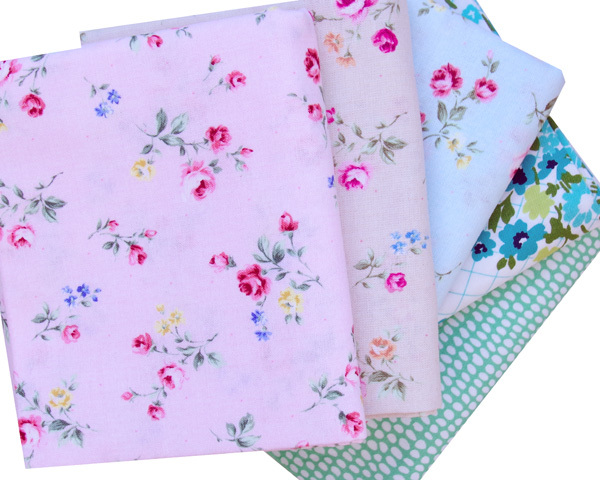 Available from Pink Castle Fabrics. Expired coupon codes and sales information have been deleted. Yes, I love Mama's cottage too. I want that and I am going to hunt it down. 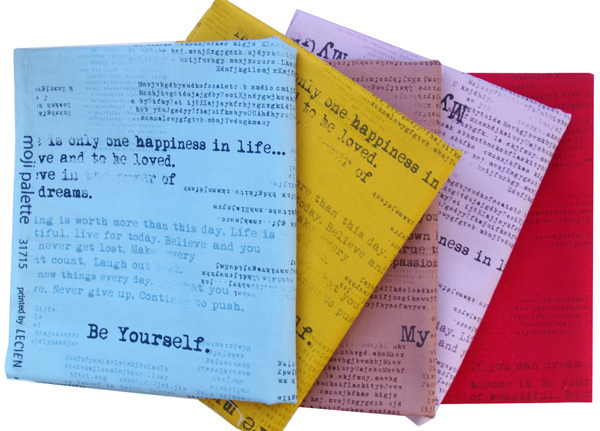 Adoring the new Text prints Be Yourself. Thanks for sharing those and all of the other new prints.